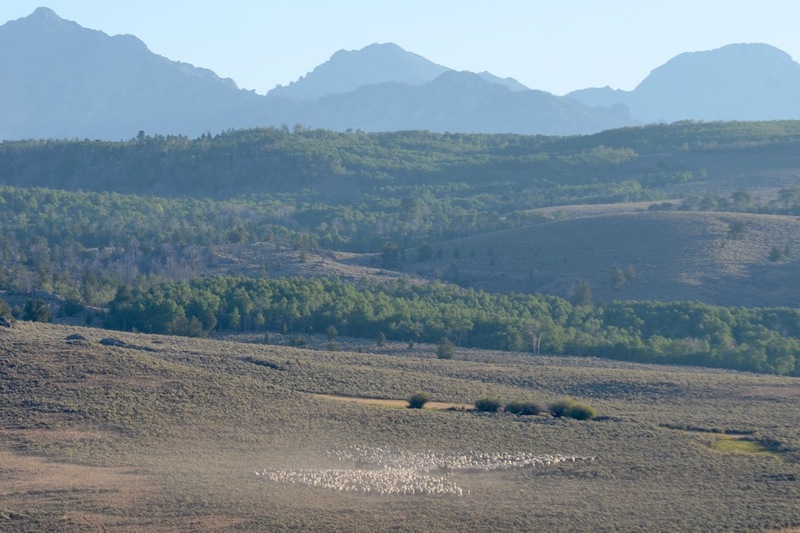 A range flock of domestic sheep exits the mountains in the southern Wind River Range of western Wyoming. 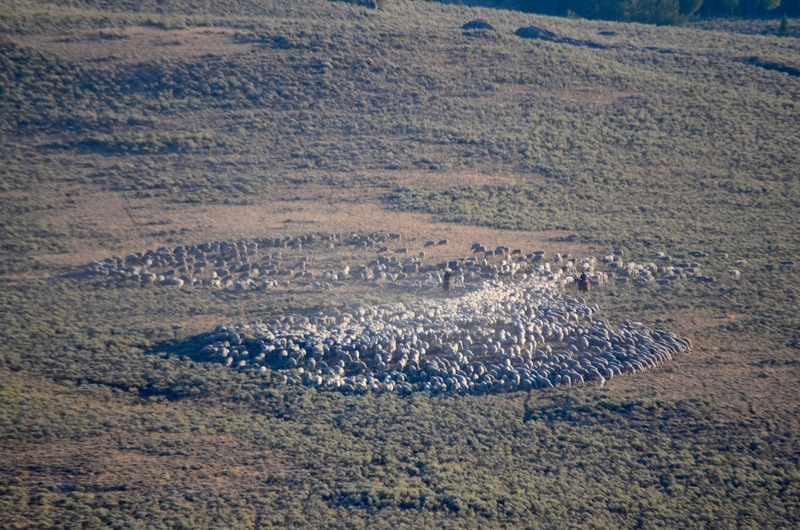 Before the flock begins its slow movement to lower elevations, herders needed a head count. 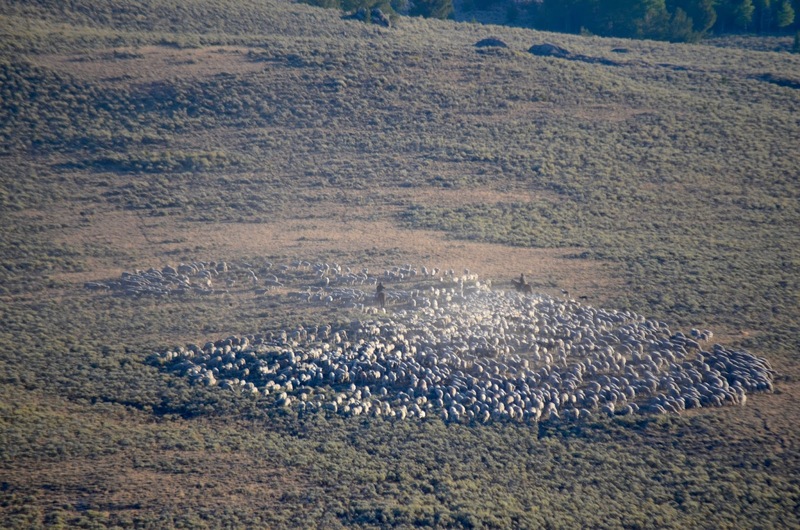 But how do you count thousands of sheep with only two men? It's fairly simple. 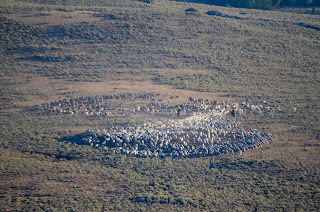 Even though the sheep could easily go around the riders, they don't, instead following their flockmates down the determined path. 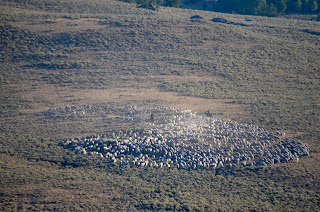 This flock of yearling ewes is used to the counting technique and know the drill. 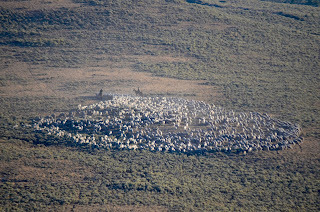 Notice how the sheep in the top left of the photo don't cut down the hill to join their flockmates but turn to move through the bottleneck as the herder to the left steps back, providing a wider path. 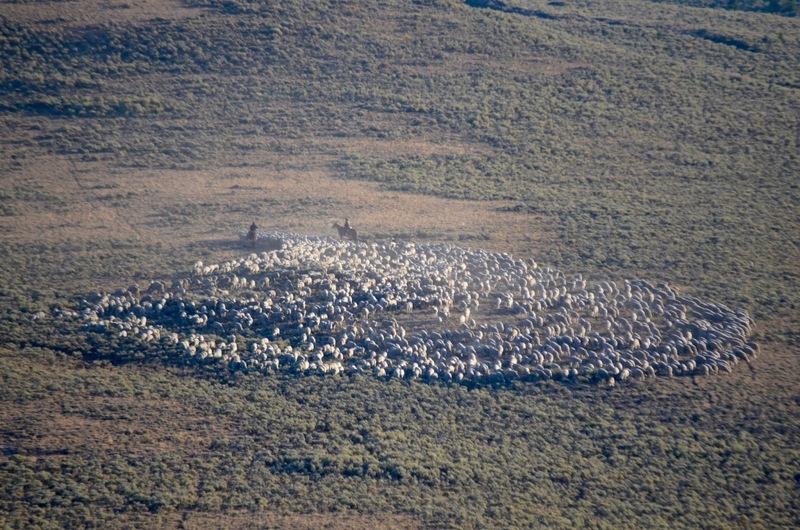 The tail end of the flock easily moves through the bottleneck created by the herders. 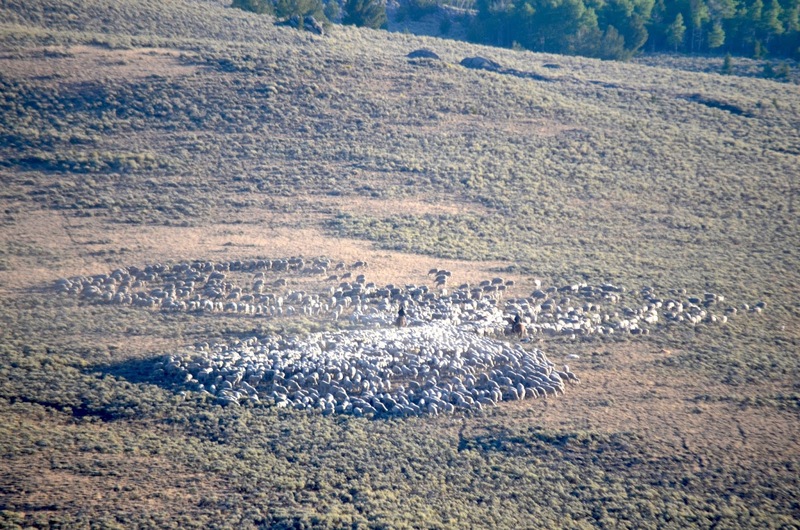 This is low-stress livestock handling. I always thought you counted their feet and divided by four! 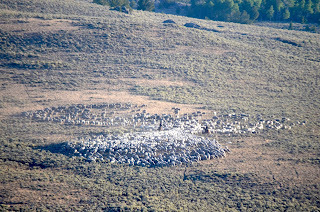 But(ahem), don't yer herders get real SLEEPY counting so many sheep?.....L.B.